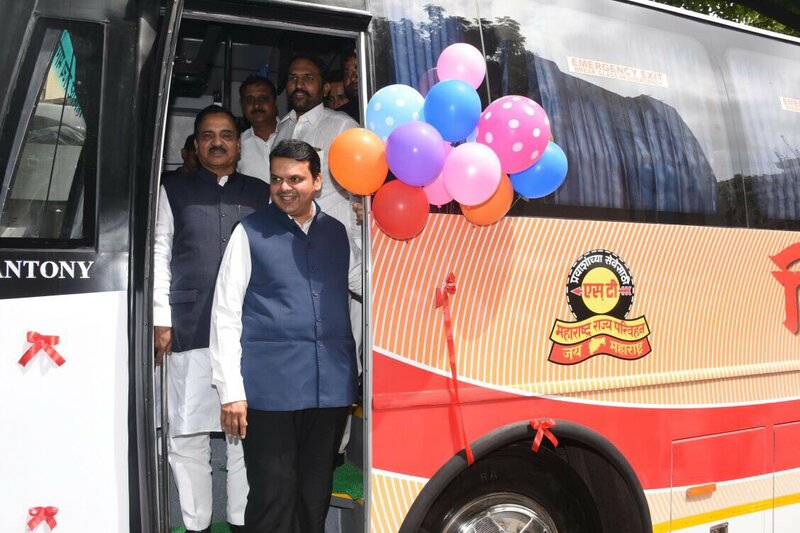 MSRTC shivshahi bus launching in Mumbai , Nashik and Mumbai is one of most important transport route of Maharashtra, this route also called as “Golden triangle” when third city Pune added. Nashik to Mumbai number of passengers also in considerable amount. Now on this route Maharashtra State Road Transport Corporation planning to launch new “Shivshahi bus” with minimum additional cost. 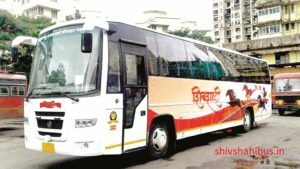 The MSRTC has decided to launch semi luxury,air conditioned shivshahi buses on Nashik to Mumbai route on pilot basis. Shivshahi bus will attract train passengers, private bus passengers towards a air conditioned,comfortable MSRTC bus. On May 5 th MSRTC Shivshahi bus will be launched in Nashik Mumbai route by making three trips in each direction on daily basis. MSRTC also announced shivshahi bus booking online. MSRTC will study first its performance for three months to make sure its services and response then after other shivshahi buses will be deployed for other regions of Maharashtra. Shivshahi buses constructed on Ashok Leyland chassis, these aren’t multi-axle but in point of interiors and comfortable seats. “Considering the huge operating costs of MSRTC – owned vehicles, we have decided to hire buses from private operators. We will ensure that the company supplying the buses and manpower will be of optimum quality,”Shivneri buses failed on this route but good response on Pune route. Nashik to Mumbai passengers opted train or cab. Shivshahi bus will target all these passengers who wants semi-luxury traveling with comfortable seats at minimal traveling charges (bus ticket). MSRTC or Maharashtra State Road Transport Corporation is the public bus transport service of Maharashtra. MSRTC Bus service connects more than 70 lakh passengers, who travel every day through 16000 buses and 17000 routes. MSRTC Bus service started in the 1920s. With the implementation of the Motor Vehicle Act in 1939, bus schedules were fixed, routes were standardised and MSRTC bus stops and fares were formulated. In 1948, Bombay started its bus transport service funded by the government known as State Transport of Bombay. After implementation of Act for Road Transport Corporation, Bombay State Road Transport Corporation or BSRTC was formed. This was later renamed to Maharastra State Road Transport Corporation.